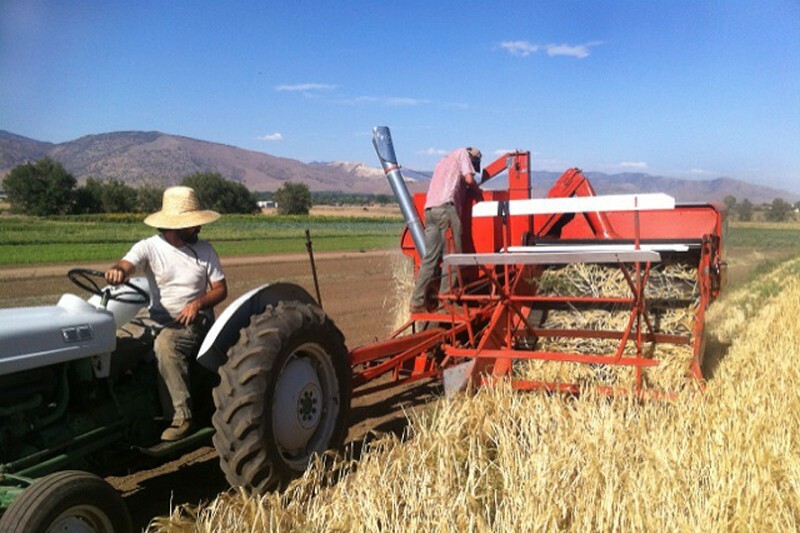 We're from Linda Vista Ranch Specialities in Tehachapi, and we're trying to raise money to create a grain hub for growing heritage grains in the Tehachapi Mountains. California was once one of the leading producers of wheat, barley, oats and rye in the U.S., and the small grains do well here -- they are one of the most drought tolerant crops you can grow, and the non-GMO heirloom varieties that we grow tend to be especially drought-resistant, so raising them in California makes particular sense now. California bakers, brewers, chefs and distillers once relied on locally-grown grain for their tasty products, but now most grain used in Southern California comes from as far away as the Midwest or even Canada. We see a demand for locally-grown, heirloom varieties of grain, and we want to help make those heritage grains available. Planting, harvesting and cleaning grain requires some specialized equipment which is currently unavailable in our area, so we are raising funds to purchase that equipment and more seed and make that available for ourselves and other local growers. Our farm was established in 1921, and some of our equipment goes back to the horsedrawn days, so we need some newer farm implements -- equipment made after World War II! Thanks so much you for your support!!! Happy Birthday Sweet Friend! Something to go with your no till drill. I love you! "G"
I am proud to support this worthy project.